As you drive around the cape, start looking up at the wires along which ever road you are on. Do they disappear into the trees? If so, you're looking at a disaster come the next winter storm, to say nothing of a hurricane. Perhaps you've never noticed the power lines and telephone wire along your street before. If so, let me assure you that they didn't look anything like the photo above which is along State Highway 28 between Chatham and Orleans. Since before the NStar strike last Spring I have not seen a single NStar truck or any other company performing this vital, yearly task of removing the tree limbs which are dangerously close to power lines. The minute the next winter storm hits with winds over 40 or 50 mph, those tree limbs will dance about until they start snapping wires. The fact that NStar has neglected this routine task is not simply an major inconvenience for consumers who will be left in the dark, it's enormously MORE costly to repair the damage AFTER the wires go down than to trim the trees before. I called NStar's 800 number four times a week ago, leaving four messages on voice mails which said the person was returning that day, August 2, 2005. I called again two days later to leave more messages, and finally, four days after I began I got a call from a Mike Durand who assured me I was wrong (despite the evidence of my eyes and camera), and promising that their arborist would contact me right away. He didn't. Four days later I received the email below including a PR release attached. I won't bore you with the PR release, but here's the email. Judge for yourself. NSTAR's tree maintenance program continued during the union strike. Our commitment during that time was to continue providing service to our customers regardless of the circumstances. Our award-winning program benefits every town on Cape Cod. This year's towns include: Barnstable, Bourne, Brewster, Chatham, Chilmark, Dennis, Eastham, Edgartown, Falmouth, Harwich, Orleans, Provincetown and Truro. This year alone, we are working on over 400 miles on Cape Cod. This commitment, along with addressing specific customer concerns, requires an average of 10 tree crews working daily on the Cape. We encourage a discussion about our program and our proactive community outreach with local tree wardens and the National Arbor Day Foundation. Most recently, we've worked with tree wardens in Barnstable, Chatham, Falmouth and Orleans. Attached is a press release we issued earlier this year about our receipt of the Tree Line USA award from the National Arbor Day Foundation. We've received this prestigious award in honor of our tree maintenance initiatives for five years in a row. The latest, and perhaps gravest, challenge to the journalistic establishment is the blog. Journalists accuse bloggers of having lowered standards. But their real concern is less high-minded - it is the threat that bloggers, who are mostly amateurs, pose to professional journalists and their principal employers, the conventional news media. A serious newspaper, like The Times, is a large, hierarchical commercial enterprise that interposes layers of review, revision and correction between the reporter and the published report and that to finance its large staff depends on advertising revenues and hence on the good will of advertisers and (because advertising revenues depend to a great extent on circulation) readers. These dependences constrain a newspaper in a variety of ways. But in addition, with its reputation heavily invested in accuracy, so that every serious error is a potential scandal, a newspaper not only has to delay publication of many stories to permit adequate checking but also has to institute rules for avoiding error - like requiring more than a single source for a story or limiting its reporters' reliance on anonymous sources - that cost it many scoops. What really sticks in the craw of conventional journalists is that although individual blogs have no warrant of accuracy, the blogosphere as a whole has a better error-correction machinery than the conventional media do. The rapidity with which vast masses of information are pooled and sifted leaves the conventional media in the dust. Not only are there millions of blogs, and thousands of bloggers who specialize, but, what is more, readers post comments that augment the blogs, and the information in those comments, as in the blogs themselves, zips around blogland at the speed of electronic transmission. 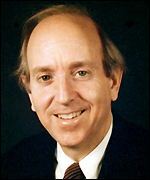 Richard A. Posner is a judge on the United States Court of Appeals for the Seventh Circuit, a senior lecturer at the University of Chicago Law School and, along with the economist Gary Becker, the author of The Becker-Posner Blog. He has written many books including Preventing Surprise Attacks: Intelligence Reform in the Wake of 9/11 (2005), as well as books on the Clinton impeachment and Bush v. Gore. I am the editor and publisher of capecodtoday.com and I want to publish your blog on my online newspaper. I believe that you have something to say to your fellow Cape Codders. Here at capecodtoday we are assembling an eclectic group of "citizen journalists" who only write about issues of interest to people here on Cape Cod, Plymouth, Wareham and The Islands. Take a moment to read the new Cape Bloggers who are already posting their opinions on our home page. Each "new" post is automatically brought to the top of the list, but you may click on the title of any one to see the previous posts by the same writer. If you are interested in starting your own blog, email us and let us know what you are interested in writing about. Best Read Guide and BRG Distribution's news offices at 900 Route 134, Dennis. When Walter & Patricia Brooks founded Best Read Guides twenty years ago this Spring, they could never have imagined that their dream of a "reader-friendly", free vacation guide would grow to be the largest such network in America. After all, every other free guide was full of "pay-offs" to advertisers, a ploy easily recognized by today's vacationers who have among the highest education and income profiles of any consumer segment, so the Brookses decided that if readers trusted you to be straight with them, a free guide could own their hearts and their wallets would follow. They discovered how true this was by 1998 when Walter & Pat had sold franchises to twenty newspaper companies across America. You've probably picked up one yourself in vacation meccas like Newport, Martha's Vineyard, New Hampshire, Maine, Hilton Head, Savannah, Orlando, Tampa, St. Petersburg, Daytona, Las Vegas etc. The Publisher/Sales manager's office wall is covered with awards. There are Best Read Guide editions across America today, but it all started here.And this last Monday Best Read Guide and it's companion company, BRG Distribution, moved into their quarters shown above on Route 134 one miles north of Route 6 in Dennis. The complex was completely gutted by BRG Distribution President Jay Brooks who was a construction crew foreman before joining his parents fifteen years ago. The result is a seven-office complex with an art gallery on the lobby shown below. Today Jay is President of both companies. Among the innovations he has brought to the companies are the fleet of trucks party shown above which act as"mobile billboards" in this county which bans regular billbboards, and he has built over a thousand brochure and publication racks. Many are custom-built for specific high traffic locations, and many are also exclusive. All Jay's drivers are company employees who wear uniforms and refurbish his rack system weekly year round. The three trucks shown above parked in front of the new offices are half the distribution fleet which distributes over 75% of all the brochures and free publications on Cape Cod. This service coupled with the million copies of Best Read Guide distributed annually gives these companies over 70% of all the advertising dollars spent here to reach vacations who on average spend as much in four days as residents spend in four weeks. A storage facility in the nearby industrial park is ideally located for distribution across this seventy-mile peninsula. Below is a peek inside the art-filled lobby area of the new quarters, and below that, the conference room use for training and sales presentations. Above, the lobby, below the conference/traing room. There are seven other offices.